Maybe you’re curious about homeschooling, maybe you're exploring school choices, or maybe you're not satisfied with your child's current school situation. Regardless of why you’re here, welcome. A quick look at a dictionary leaves one with the impression that homeschooling is when parents teach their children at home instead of sending them to public or private school. In the purest sense of the words home and schooling, this is true. But even modern dictionaries haven't kept pace with today’s broadening definition of homeschooling. Homeschooling is much more than parents teaching their children at home. We offer this definition: homeschooling is when parents direct all education of their children from the home. The education of all children starts in the home where parents are the primary teachers of their children. For homeschoolers, education remains grounded in the home environment as children are taught all things, including the school subjects required by law. The majority of home education does occur in the home, yet education can (and does) occur at any place or any time. Homeschooling parents do teach their children, but many enlist teaching help from others in order to broaden learning opportunities for their children. Regardless of these nuances, the core concept in homeschooling is that the parents direct the schooling from the home. Homeschool parents retain the authority to select curriculum, set the schedule, and determine how their children will be taught. They may modify curriculum, set the required level of knowledge or skill attainment, determine the means of evaluation, and assign the grades and credits for completed school work. Homeschool parents are able to access and evaluate a wide range of curricula and learning environments. When other teaching help is enlisted, homeschool parents decide who may teach their children. Homeschool parents are free to decide what is best for their children based on their beliefs, philosophy of teaching, and their children's styles of learning or special needs. 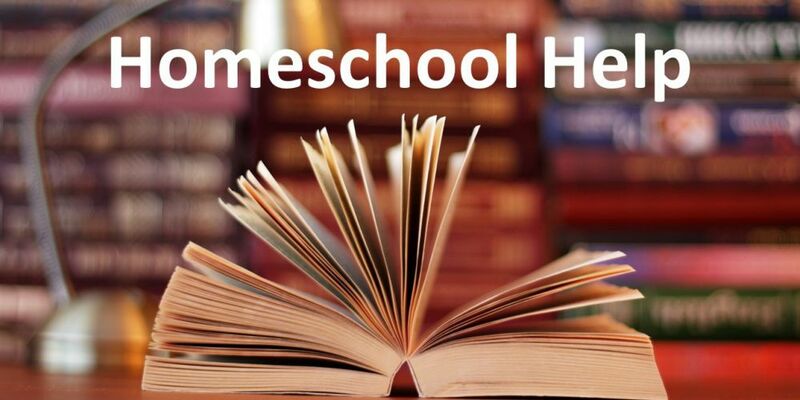 In Nebraska, homeschools are referred to as exempt schools. There are also other alternative types of exempt schools, private exempt schools that may offer full-time, part-time, or hybrid models of schooling. These schools also must follow NDE Rule 13. In other words ~ all schools that operate under NDE Rule 13 are exempt schools, but not all exempt schools are homeschools. What does it take to homeschool? Know why you want to homeschool—parents should not homeschool out of pride, for selfish reasons, or because it is fashionable. Homeschooling is about training the child and the focus should be on what is best for the child. Be committed to teaching your child—homeschooling will require parents’ love, time, effort, and some money. Parents should be in agreement on the decision to homeschool and give it an honest try. Be willing to learn—about the laws, various teaching methods, learning styles, support resources, and subjects you have never studied. Have a sense of adventure—meet new people, go new places, experience new things, all as part of the homeschool community. Accept change—every child, every year, and every homeschool group is different, not to mention the curriculum. Be flexible—life will happen despite your best-planned homeschool year; some things will seem like a good idea, but turn out to be less than good. Being flexible and open to change will help immensely. Know your source of power—as Christians, we know our source of power comes from the Lord and we rely on Him for all of our needs, even homeschooling. Having a source of strength outside of yourself will help you through the tough times. Is homeschooling the right choice for my child? Only you can answer this question. Considering the following questions may help you find the answer. Why do you want to homeschool your child? Are you willing to make the necessary adjustments in order to homeschool? What does homeschooling offer you that can’t be found in other school choices? Do you feel called to homeschool your child? In Nebraska, "home schools" are known as exempt schools and are considered to be non-accredited or non-approved. This means exempt schools are free from the accreditation and approval requirements. This exemption is what gives parents the freedom to direct the schooling of their children. Parents are required to follow Nebraska law when filing for exemption. When parents (or legal guardians) file for exempt status, they are electing not to have their child attend a school that meets State approval and accreditation requirements while also complying with the compulsory school attendance law (Section 79-201 R.R.S.). This means following the rule for homeschooling in Nebraska ensures you are in compliance with the compulsory attendance (truancy) laws.